Music! Art! Fun! Food! And the best part? It’s all free! 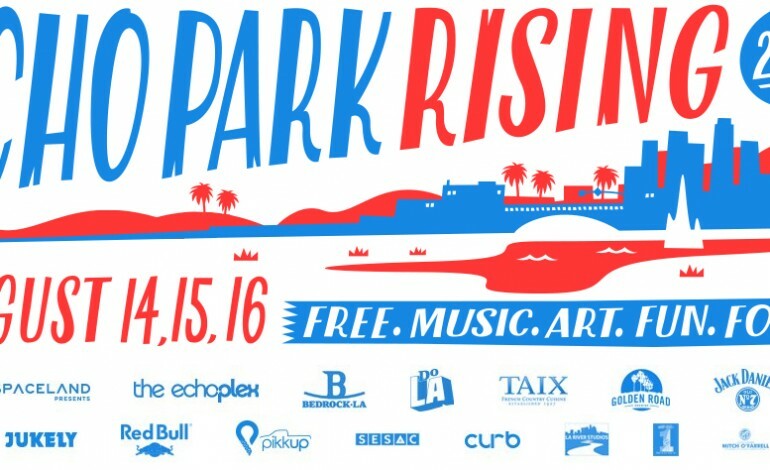 Echo Park Rising 2015 is a neighborhood event in its 5th year that focuses on the music, creativity, diversity and small businesses of Echo Park. There are multiple stages and activities throughout the weekend located on the main routes of Sunset Blvd, Glendale Blvd, Alvarado Avenue and Echo Park Avenue and beyond. All the fun takes place from August 14 to August 16. Sunday: NO Main Stage; activities start noon – 10 p.m.
Be sure to catch this free event in August. Visit www.epr.la to join the mailing list, get involved, or see more info as it’s published.